Talking in very basic terms, an encoder is a program that allows converting one file format to the other. Thus when we talk about an MP4 encoder, it means a program, software or any other tool that allows encoding other formats to MP4. The need for an MP4 encoder becomes indispensable owing to the fact that it is one of the most compatible formats universally. MP4 works well with the majority of the devices and players and is the common format used with editing apps. The compressed nature of the format makes it favourite for sharing over video streaming sites. Thus all the above-listed reasons lead to the need for a good MP4 video encoder that takes care of all your encoding needs. If you are looking for a professional yet simple to use program, then Wondershare UniConverter (originally Wondershare Video Converter Ultimate) is the answer to all your needs. This super fast and feature rich program works as the best video encoder as it supports an array of input format including WMV, FLV, MKV, MOV, 3GP, MOD, and others, so it can work as H.264 encoder, MKV encoder, MP4 encoder etc. The software works with Windows as well as Mac system and results in lossless quality videos. The program supports batch processing of multiple files at a time. Additionally, video and audio files can be encoded to popular audio formats as well. The software also supports encoding videos directly to device-specific formats and all popular devices are supported. It also works as a DVD encoder allowing to burn DVD. 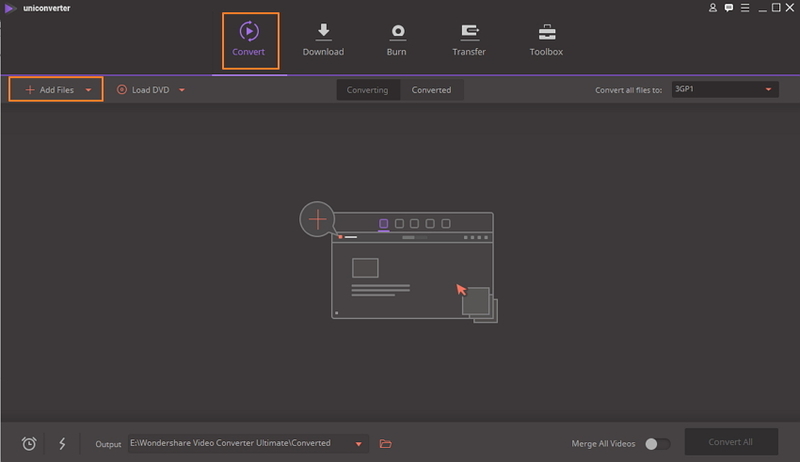 Additional functions of UniConverter (originally Wondershare Video Converter Ultimate) includes editing tools, transferring videos, downloading videos from more than 10,000 sites, and others. Encode any video format including MP4, MKV, AVI and 1000 other formats. Encode video to any format without quality loss at 30X faster speed. 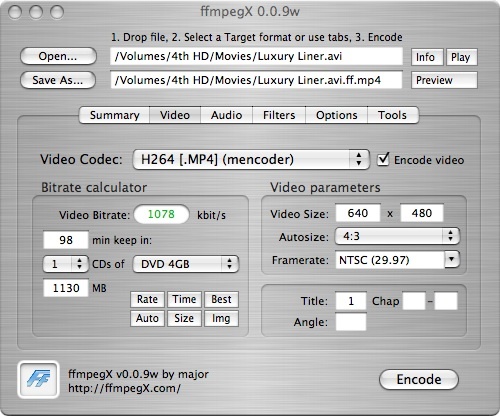 Encode MP4 directly to your portable devices like Android and Apple phones or game devices. One click to burn video to DVD disk or Blu-ray disk to play with your DVD player. Step 1 Launch the MP4 encoder and add file(s). Open Wondershare MP4 encoder on your PC or Mac system. Add the files that you want to encode to MP4 format. You can drag or drop the files or browse from your PC by clicking + Add Files from the Convert tab. Step 2 Select MP4 as the output format. After files are added, open drop-down menu next to “Convert all files to:” option. Select MP4 as the output format from the Video tab. The software also gives you the freedom to select the desired file resolution. If needed, you can also select a device-specific format from the Device tab. Note: If you want to edit your videos before encoding it, you can click one of the editing tools under the video thumbnail to trim, crop videos, add subtitles, etc. Also, you can merge all the videos together by enabling the Merge All Videos option. Step 3 Encode MP4 files. Hit the Convert All button to start the encoding process. You can check the encoded MP4 file from the Converted tab or click the Output icon at the bottom of the main interface. Thus considering the ease or process, speed and lossless video quality, UniConverter (originally Wondershare Video Converter Ultimate) is the best video encoder. In addition to professional and paid desktop software, there are a number of free video encoders available as well. These tools work quite well and are good options when you are on a budget and have no additional requirements with your encoding requirements. Listed below are top 5 free video encoders for your reference. This is one of the most popular online video encoder programs that allows encoding popular video formats to MP4. In addition to videos, the program also allows converting other file types like documents, images, audio, and other. The encoder is free to use and allows adding files from PC, URL, Dropbox, and Google Drive. The program allows encoding more than 50 popular formats including MKV, AVI, MOV, FLV, and others. 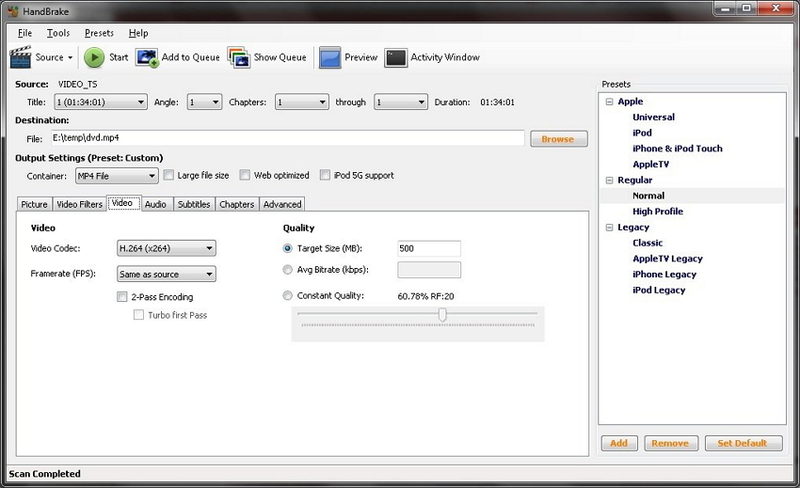 Through optional settings, output file size, frame rate, and other parameters can be changed. Maximum 100MB of files can be added to Online Convert for processing. In case if you have larger files or need additional features, you can go for the paid versions. Avidemux is a commonly used free desktop program that works well with Windows, Mac, and other OS. The software acts as a decent encoder and supports an array of formats, file types, and codecs like AVI, ASF, DVD, and others. The program allows automating the project and support job queuing and scripting. Working as a complete video editor, the program also supports cutting, filtering, and other functions. This is another popularly used open source program that allows encoding a number of file formats to H.264/AVC files. 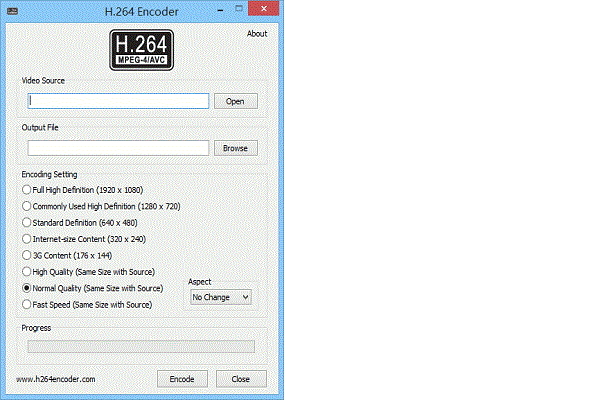 This H.264 MP4 encoder is free and simple to use. The output quality of the files processed through the encoder is of high quality and can be played well on a smartphone as well as internet. The encoding speed is fast so that you have your desired professional quality files in just a few minutes and it uses only 1/3 of the bandwidth. The encoder also allows burning HD movies in DVD form. Handbrake is a popular Mac program which works as an open source software and allows encoding a number of video files from one format to the other. All types of multimedia files, DVD and BluRay sources without any copy protection can be processed using the program. The software supports all popular formats and comes packed with an array of built-in device presets. Using Handbrake you can queue up more than one encodes and it also has an option of live static and video previewing. Additional features include chapter markets, support for VFR and CFR, subtitles, video filtering, and others. ffmpegX is a popularly used program for Mac devices that operates on over 20 Unix open-source video as well as audio processing tools. Using this MP4 video encoder is fairly simple where you just need to add the video and select the desired output format. A number of input and output formats are supported by the program. The encoder works at a super fast speed and also support queue encoding. Additional features include full-featured video player, subtitles, creating DVD selectable subtitles, a bitrate calculator, automatic crop tool, compress nonencrypted DVD to 4GV without reencoding. 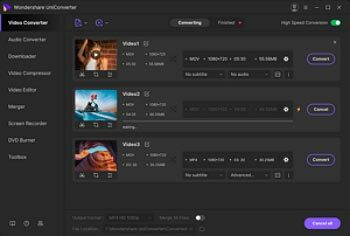 So you can either pick from a free video encoder if you have basic requirements or go for Wondershare UniConverter (originally Wondershare Video Converter Ultimate)- the best video encoder for all encoding needs.